Today I am sharing a card I created using new stamps and dies from Elizabeth Craft Designs. 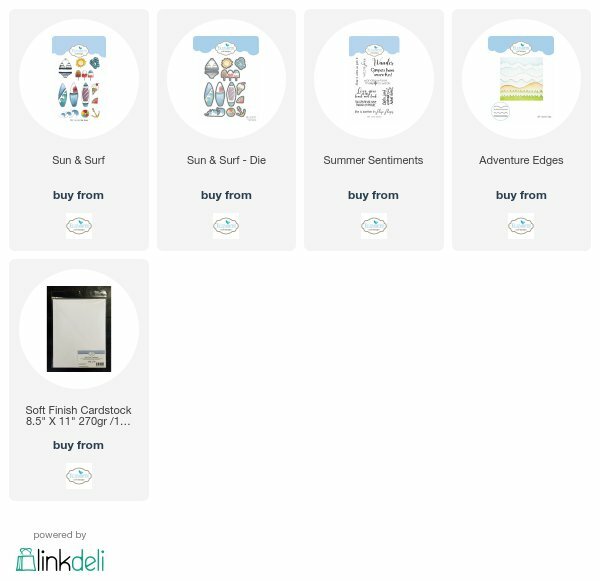 First up I am excited that we now have a General Pop-Ups Die set which contains eight different generic pop up dies of various sizes (the largest being 2 inches wide), which you can use to create fun pop up cards .... you know how much I love pop up cards. 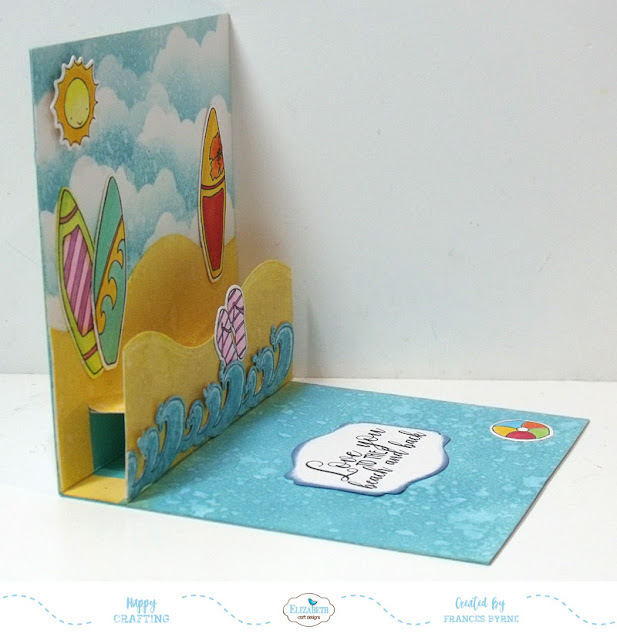 To create my beach themed pop up card I have used the larger pop up die with the step from the new Pop Ups die set. I used this die twice to die cut two pop ups so I could then attach my front sand which is from the new Adventure Edges die set. For the clouds I used the new cloud die (also from the Adventure Edges die set) and die cut a cloud from scrap cardstock and then used this as a template to add my clouds to the back of the card using Broken China Distress Oxide. I used the same ink for the base of the card spritzing it with water to give it a water look. 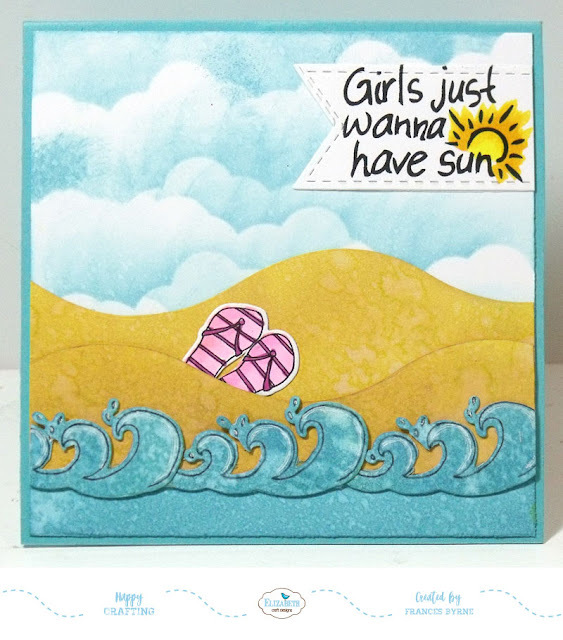 I added a second sand panel to the back of my card and then decorated my card using the new Krista Schneider Sun & Surf Clear Stamp set with coordinating dies. 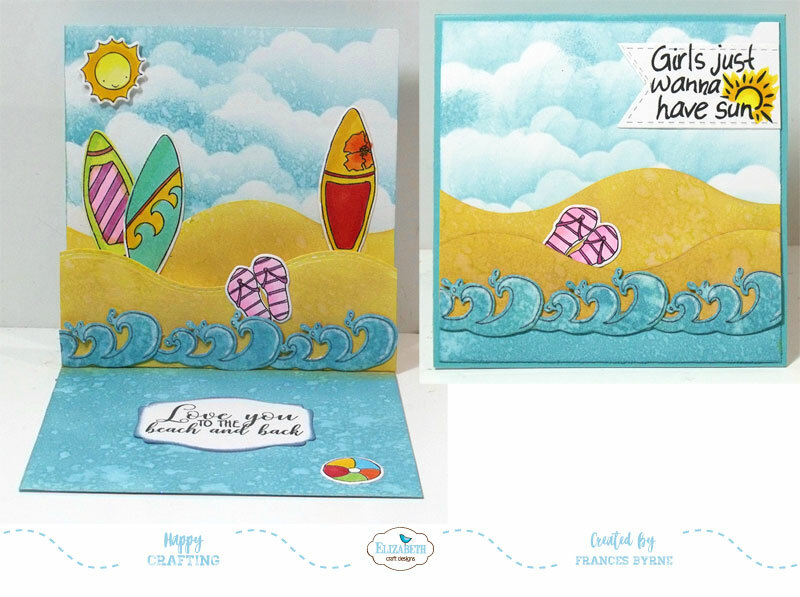 The waves are also from this stamp set, I stamped them three times and die cut them and added them to the bottom of the sand panel. I added a sentiment from the new Summer Sentiments Clear Stamps and die cut that using the new Labels 1 die set. Here is a side on view of my card so you can see the pop up portion of the card a little better. For the front of my card I have kept it fairly simple seeing the focus is on the inside of the card. 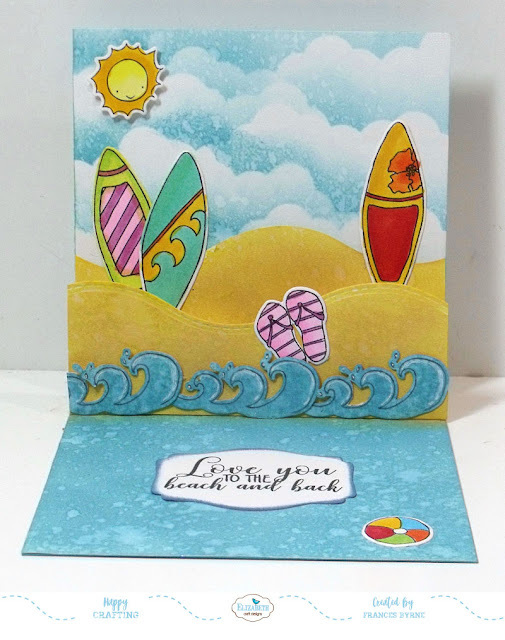 I have added more clouds, sand and waves to the card as well as a sentiment. So cute Frances.... love the scene you created!!! Have to comment again because I LOVE your sky!! !